This week, North Korea's beloved news anchor, Ri Chun-Hee, was brought out of retirement to announce the launch of the country's first intercontinental ballistic missile. Tufts University professor Sung-Yoon Lee says her return indicates there's a lot at stake in this moment. North Korea is known to strut out masculine power and military might. Official marches routinely display thousands of rigid rows of men in army green uniforms, kicking out their legs with switchblade precision. But for nearly five decades, whenever the government announces news of the gravest import, they've chosen a woman for the job. Her name is Ri Chun-Hee. And inside North Korea's borders, she's known as the beloved "People's Broadcaster." It was Ri who made the announcement this week that North Korea had successfully conducted the test-firing of a newly developed intercontinental ballistic missile — one that's deemed to be capable of hitting targets as far away as Alaska. And she did so with her signature delivery style, including intense enunciation and vigorous bursts of excitement. To some viewers in the west, Ri's delivery is so melodramatic, it can seem almost comical. 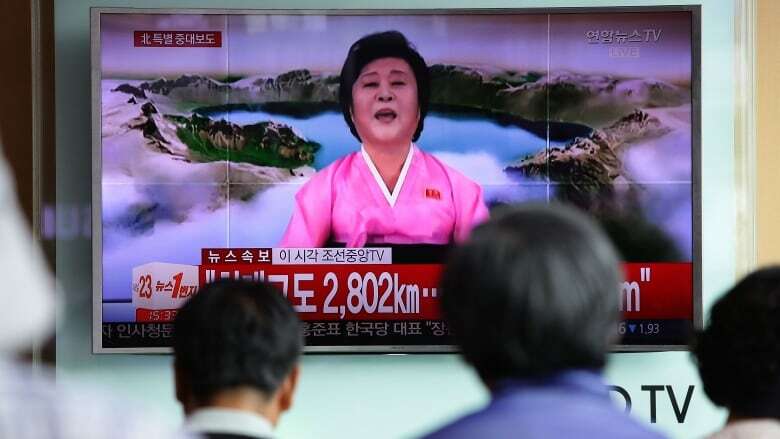 But Tufts University professor Sung-Yoon Lee says Ri's presence on TV this week is a sign of how seriously North Korea is taking this latest missile launch. "Ms. Ri has a background as a trained actress; a stage actor," he tells me on Day 6. "She has a booming tremulous voice." "North Korea is very big on theatrics. Everything is scripted, and she is very good at conveying the joy and the jingoistic pride of the entire impoverished nation at this momentous occasion." 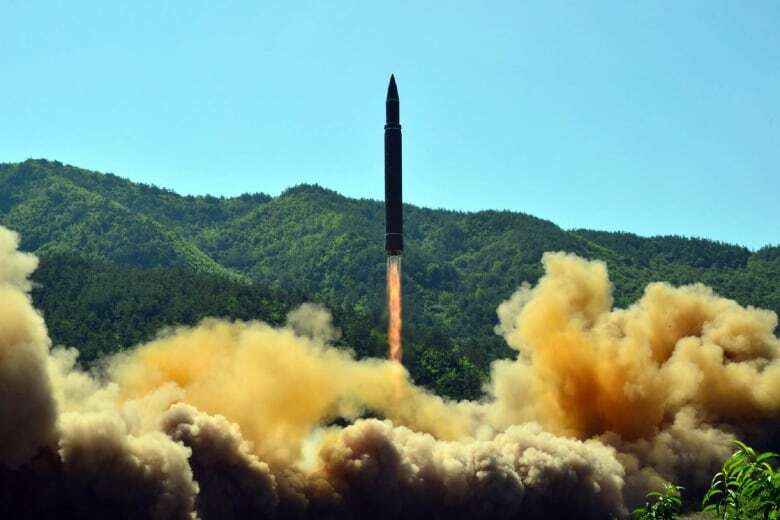 This picture, released by North Korea's official Korean Central News Agency (KCNA), shows the successful test-fire of the intercontinental ballistic missile Hwasong-14. (STR/AFP/Getty Images)Also significant, according to Lee, is the fact that Ri — now in her seventies — was called out of retirement to make this week's announcement on the state broadcaster Korean Central Television. "There's an element of nostalgia in her return," says Lee. "Her career is synonymous with Kim Jong Il ... so her appearance is a cause of celebration and also a bit of jeering at the US." Indeed, it's not the first time KCTV has pulled her back on air. Over the past several years, Ri has returned repeatedly to announce North Korea's underground nuclear tests. Before that, as the network's Chief Anchor, she was entrusted to broadcast the news of the deaths of former leader Kim Jong-Il in 2011, and his father, the founding supreme leader Kim Il-Sung in 1994. All of this begs the question: If Ri's re-emergence this week is a sign of serious times, what should viewers expect Ri to divulge next? In other words, how far is North Korea willing to go in its militaristic demonstrations? Lee tells me we can all remain calm for the time being. North Korean leader Kim Jong Un reacts with scientists and technicians of the DPRK Academy of Defence Science after the test-launch of the intercontinental ballistic missile Hwasong-14. 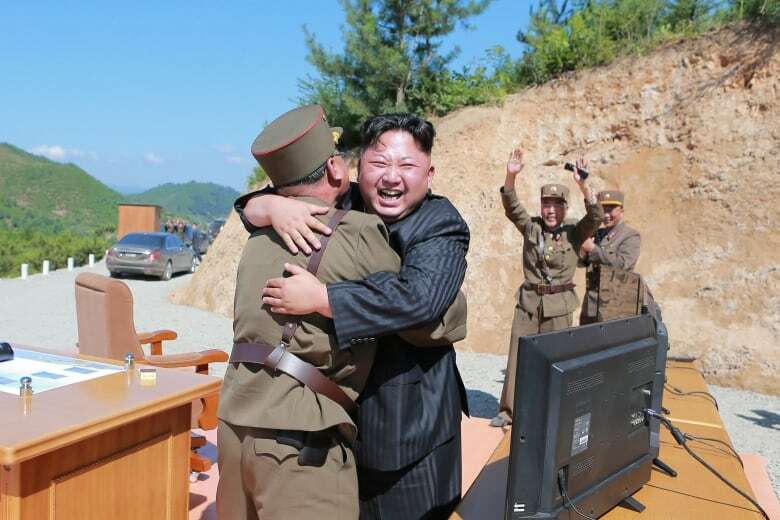 (KCNA/Reuters) "North Korea's end game, in my view, is one day to communize the entire Korean peninsula," he says. "I don't think they're suicidal, I think they're quite rational. They know that a first strike against the US, unprovoked, would lead to war and the end of the Kim dynasty. They don't want to go there." "But what do they seek is to be able to credibly threaten to nuke a major US city. And that becomes a very difficult moral dilemma for any US president. Do I put tens of thousands, hundreds of thousands of American lives at risk? Or do I honour my treaty obligation to defend a key ally halfway across the globe?" "So instilling that kind of psychological doubt is one key step for North Korea in ultimately achieving its highest state goal of communizing the entire Korean peninsula." Whatever the future holds, if Ri Chun-Hee takes to the anchor desk again, viewers around the world will be watching and listening very closely. With files from Annie Bender. To hear the full interview with Professor Sung-Yoon Lee, download our podcast or click the 'Listen' button at the top of this page.